Hello there! 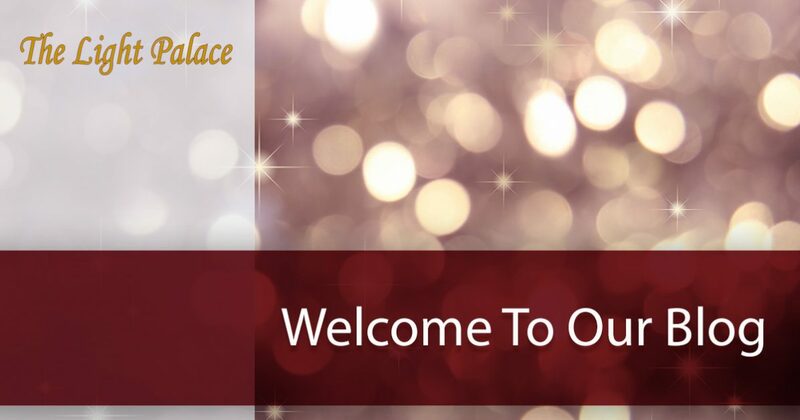 Welcome to our very first blog at The Light Palace, which has been Omaha’s most trusted lighting and home decor store since 1953. We take pride in offering our customers more than just lighting products, and we truly believe in offering a large selection of the items that turn a basic, everyday house into a home you love living inside of. We strive to offer lighting services and lighting products that our busy customers can fit into their schedules. That’s why you can either visit our Omaha lighting showroom in person or you can browse products in the comfort of your home through our online catalog. Either way, we’re sure you’ll find light fixtures you absolutely fall in love with for the rooms in your home or office. Continue reading this blog post for additional details about our lighting products and services as well as a brief history of our well-known Omaha lighting company. For any further questions you may have or to schedule an appointment with one of our talented lighting consultants, don’t hesitate to contact us today. Whether you’re searching for a brand new hanging pendant as a statement piece for your living room, or you simply need to update your wall lights in your bathroom, our lighting consultants can help you find the perfect light fixtures for your style and budget. We also ensure to consistently update our lighting selection so you can find trendy, unique and up-to-date light fixtures that are right for you. From contemporary designs to traditional lighting themes, we have a variety of finishings, sizes and shapes of light products. We’re also known for our high-quality selection of home decor accents and furniture. If you’re still unsure about what will look best in your home or office, our lighting consultants are trained and experienced to connect you with lighting solutions that will help you achieve your desired goals. We encourage you to read out to us to ask for lighting advice or help! Creating the perfect lighting design for your home or office takes time and experience. We can find you a design that’s functional for many different uses. A Well Dressed Window is located inside of our lighting and home decor store for any of your window needs, including custom blinds, shutters and shades. If you’re in need of specialty lighting, supplies or parts, we can help you find exactly what you need for your lighting project. We’re proud to say we’re a leader in Omaha’s commercial and residential lighting industries, and our centrally-located, 10,000-square-foot lighting showroom is staffed with some of the best lighting design experts in the region. We’re recognized locally for not only our great selection of lighting products, but also our excellent customer service. Since 1953, we’ve grown and expanded our lighting showroom to hold the more than 5,000 lighting products it does today. Our lighting specialists are always staying up-to-date on current trends to ensure the interior design of your home or office is impressive and practical. Come visit us for yourself or browse our online catalog. Either way, don’t be afraid to reach out to our lighting team with any questions you may have! Whatever your end goal may be for the lighting solutions in your home or office, we’re sure you can find functional and beautifully designed light fixtures in our Omaha lighting and home decor store. We’ve been helping the Omaha local community for more than five decades, and we’ve never become complacent. No matter what, you can always expect high-quality products, top-notch services and exceptional customer service every time you walk into our lighting store. Have any further questions? Want to schedule an appointment for one of our lighting services? Contact us today! You can reach us by calling (402) 281-9833 or by completing our online form. We look forward to having you be apart of our Light Palace family!